Not only is the FBiH government’s self-praised moratorium on new employment in the public sector not showing any results yet, but statistics show that budget spending in public administration has actually increased in the past few months. Without getting into the purposefulness and logic of Novalic’s theses about “the natural workforce outflow” in a public administration plagued by excessive overemployment along the party and family lines, it is evident that the claim on reaching a millions worth of savings has, so far, not been confirmed in practice. Most recent data published by the Institute For Statistics of FBiH (FZS) reveal a fundamentally different prospect of budget spending in the public sector in FBiH. 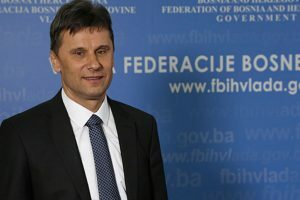 As the FBiH Institute For Statistics’s data on employment and average wages isn’t divided by public and private sector, in order to establish the trends in budget spending on public administration we looked into the data in the representative category of “Public administration and defence; compulsory social security”, which is entirely rooted in the public sector. Comparing FZS’s monthly reports on the number of personnel in these sectors and their average wages in the past year, the first trimester of 2015, and the period after the FBiH government was formed (April-June 2015), we can see that budget spending has not decreased, but significantly increased over time. In 2014, the average number of employees in this sector was 48.497, while in June 2015 it has reached 48.889 employees. 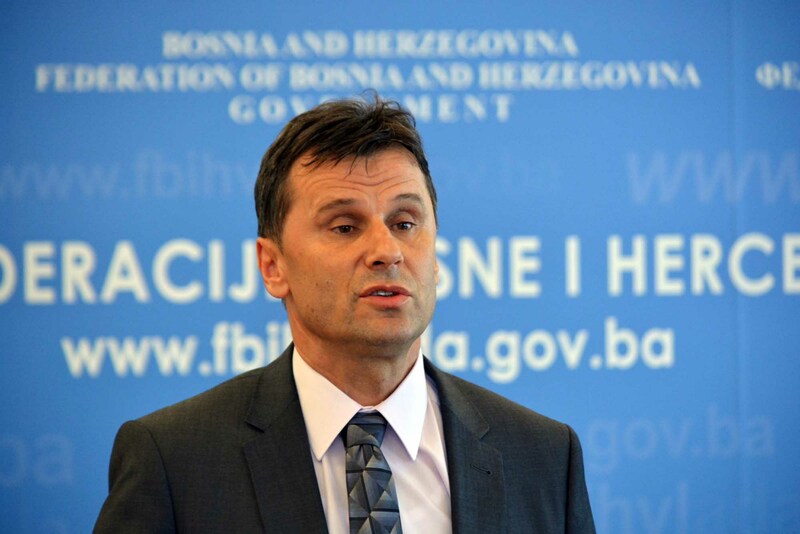 After the FBiH Government was established in March 2015, the number of employees in this sector has dropped by 47 in April, only to rise again, to a record high number of 48.998 in May – more than in any of the previous 15 months – even with the “moratorium on new employment”. In June – the last month with available statistical data – the number dropped by 109, however still remaining higher than in the previous year. Throughout the whole 15-months period, the aspect ratio between the number of employed in this sector and in the Federation of BiH as a whole hasn’t changed, remaining at 11% equally before and after the “moratorium on new employment”. The ratio of average wage in this sector and average wage in FBiH has been fluctuating around 145%, with a trend of growth which reached its peak in May 2015, just as the number of persons employed. In 2014, average net wage in the sector of public administration, defence and social security was 1.204 KM, or 144% of FBiH’s average wage, while in May 2015 it has reached 1.215 KM, or 147% of average wage in the Federation. When these numbers are added up, the average budget spending on net wages in this sector was 58.881.317 KM per month in the first trimester of 2015. In the second trimester, it grew by nearly half a million KM, to a monthly average of 59.360.782 KM. Overall, budget spending for this sector has increased by 1.438.393 KM after the FBiH government was established – from 176.643.952 KM in the first trimester of 2015, to 178.082.345 KM in the second. Compared to 2014, when average monthly cost of net wages in the sector of public administration, defence and social security was at 58.406.135 KM, the expenditure in the second trimester of 2015 has grown by almost one million KM per month. In 2014, the overall expenditure on net wages in these sectors was around 700.873.617 KM on average, while the cost in the first half of 2015 was at 354.726.297 KM. If the ratio of number of employees and average wages goes on at the same rate, even without further increases, by the end of 2015 it will grow to be around 9.452.594 KM higher than in the previous year. 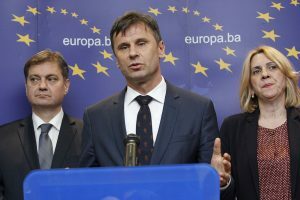 Clearly, the savings mentioned by prime minister Novalic are nowhere in sight, unless an actual and substantial reform of public administration is undertaken.